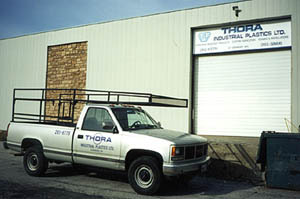 THORA Industrial Plastics has been providing quality corrosion resistant products and services for thirty years with continued success. We specialize in supplying custom built Wet Process Systems and Equipment to the plating and printed circuit board industries. Our success lies in our hands-on expertise, 30 years of experience in thermoplastic welding and machining, and working closely with customers to best assess their needs and requirements. Copyright � 2001 Thora Industrial Plastics Ltd.